It was an exciting year for golf fans in 2014!! I've pulled together a couple of interesting facts from UPI.com and Golfchannel.com. Look out for Lydia Ko in 2015 in the LPGA Tour!! Rory should also continue his dominate play!! PGA Tour - PLAYER OF THE YEAR -- RORY MCILROYWith two major championship titles and a World Golf Championship victory, it was easy to pick Rory McIlroy as the Player of the Year, earning $8,280,096. McIlroy picked up three straight wins at the Open Championship, WGC- Bridgestone Invitational and PGA Championship. Prior to that run, he had six top-10 finishes. After a missed cut at the European Tour's Irish Open, McIlroy shot par or better in 28 of his next 32 rounds. In his three straight victories, he broke par in all 12 rounds and shot in the 60s in 11 of those 12.He led the PGA Tour with 12 top-10 finishes (in 17 starts) and tied for third- most top-5 finishes with six. While Jimmy Walker also had three wins in the 2013-14 season, Walker didn't have another top-5 finish. McIlroy put together a strong statistical year too. He led the PGA Tour in par breakers, scoring average and money earned to name a few categories. He also finished third in driving distance and sixth in greens in regulation percentage. A Year to Learn - Tiger Woods made just eight starts as he missed significant time after back surgery. His best finish was a tie for 25th at the WGC-Cadillac Championship. Woods played in the final two majors after missing the first two and he was over par in four of his five rounds in those two events.- Phil Mickelson finished second at the PGA Championship, but that was his lone top-10 on the PGA Tour in 2014. Mickelson was not a factor in the other three majors.- Mike Weir's struggles continued as he made just nine cuts in 25 starts. The former Masters champion did card four rounds in the 60s en route to a second- place finish at the Byron Nelson Championship, but his next-best finish was a tie for 44th at the Masters.- Padraig Harrington made seven cuts in 16 PGA Tour starts. The three-time majors champion's best finish was a share of 22nd at the Byron Nelson. He finished 192nd on the money list. It's time to let go so you can grow! 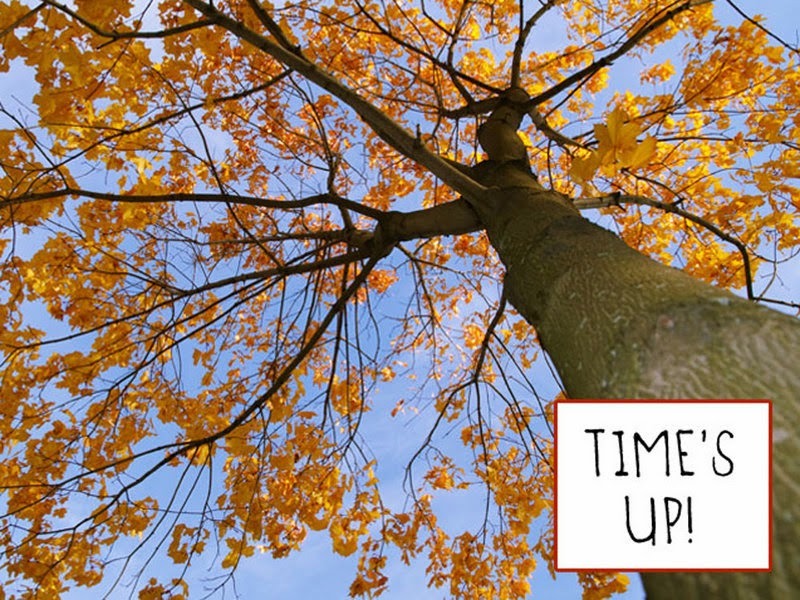 As I watch the trees let go of their beautiful and colorful leaves, I can't help but think about what I can shed! The leaves have a very important purpose in the spring, summer and early fall. They feed the tree allowing it to grow and thrive and reproduce. In the colder shorter days the tree does not need to be fed by the leaves so it literally cuts the leaves loose. If trees kept their leaves permanently, they would not grow new ones. We can learn so much from trees! It's important to replace a bad habit with a pattern that will help you to grow! For me on the golf course, I want to take more time to plan my strategy each time I get on a tee box, especially on a course I'm playing for the first time. Recently, I was playing in a Pro Am and I stood on the first hole and thought I picked a target that would leave my ball in the middle of the fairway with some "room for success" if my ball leaked a little left or right. The view of the hole from the tee was deceiving! After hitting what felt like and looked like a very good tee shot, I realized my ball landed in the right rough. It was deep rough and I topped the next shot, completing the hole with a double bogey! If I had taken the time to look at the yardage book to better understand the entire hole, I would have chosen a better target. I will let go of the quick assessments and assumptions of the hole as I plan my shot and replace that with taking the time and necessary steps to understand the layout of the hole and choose the most effective target. New leaves! In everyday life for me, I plan to replace procrastination with immediate action. Just this morning, I looked at an e-mail and decided I would like to take action on it. It was from my niece who is raising money to support the fight against childhood cancer. I'm so proud of her, she will dance for 12 hours straight! My first thought was, "fabulous, I'm excited to donate!" My second thought was, "I'll save that e-mail and do it later." Then I saw some leaves blowing off the trees and thought, "My leaf that I'm cutting loose reads procrastination!" I donated right away!! I'm going to make every effort to grow with new leaves that say, "Do it now!" What will you let go of this fall? Is it negative thinking on the golf course and off? Maybe you rush to hit the ball and forget to set up properly or you forget to set a goal or pick a target. Find an action that you are better of without and then replace it with something better! It is abhorrent that Mr. Bishop make the inappropriate comparison of ones complaining to that of the behavior of a young girl (boys scream at recess too). Why not state that Poulters comments were “childish” or “narrow minded”. Why instead tell the social media world that he believes little girls in recess are giddy whiners? Why bring a gender analogy into it at all? In an age where most are working diligently to dissolve old stereotypes and break gender barriers, it is disappointing that Mr. Bishop deems this comment appropriate. 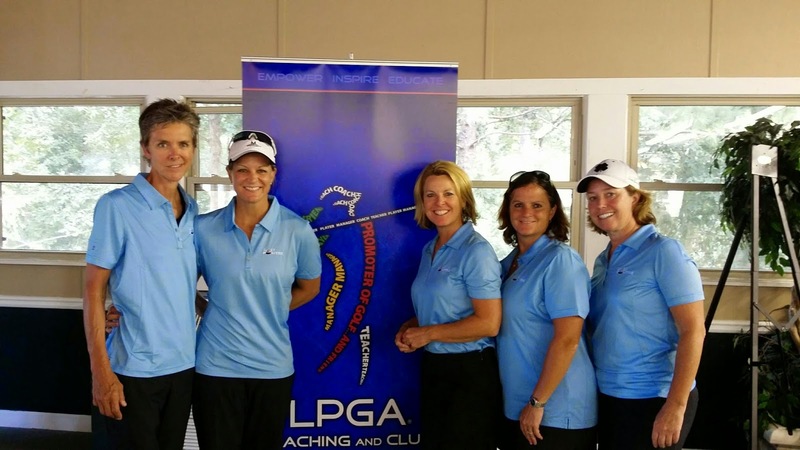 Girls and women are making strides in advancing their opportunities on the golf course (through the LPGA/USGA “Girls Golf” program, as one example), in the classroom, in corporate America and even in the boardroom. Mr. Bishop should learn that while counter criticism is acceptable, it should be done in such a way that does not draw on old stereotypes.Mr. Bishop is a voice of leadership in our golf community. C’MON MAN - he should know better. It only took 260 years, but the Royal and Ancient Golf Club of St. Andrews, Scotland, made a huge statement in the world of golf this fall with its historic vote to admit female members. The breakthrough came on the same day that Scots voted on whether to declare independence from the United Kingdom. My first reaction was elation, the same way I felt when Augusta National welcomed two women as members for the first time. I was thrilled by the bold move made by the club known as “the home of golf.” This is an exciting time for women in the sport. Then I thought, "It's about time!" Looking at the historic vote another way, it could be that some minds within this old boys’ club were looking beyond the question of gender equality to something more basic – a desire to beef up the old bottom line. Golf will be an Olympic sport in 2016. Rory McIlroy and other younger members of the PGA Tour have been outspoken in their support of equality, Arnold wrote. Tournament sponsors, including HSBC and other major banks, have made it clear that they don’t want to be associated with venues where players are segregated by gender. Yes, change does take time. I am thrilled to be in an industry that is evolving. Progress can take a quantum leap now that the home of golf has changed such a long-standing rule in a sport so bound by tradition. Women have been fighting to be treated with respect and fairness on the golf links since the inception of the sport. Even as an LPGA professional who plays and understands the game well, I have felt uncomfortable walking into a clubhouse because of my gender. One time I had to walk around an entire building because I was not allowed walk through the Grill Room: It was for men only. My gut hurt. It was clear that I wasn't welcome at the country club. Another time when I felt discrimination because of my gender was when I was invited to play golf on a Sunday at a private country club in Chicago. Although we would have preferred a morning tee time, we had to wait until 11 a.m. because women couldn't tee off before then on the weekends. Really? The three women in the group were better players than most of the men. It's not only the rules of the country clubs that make women feel unwanted in the game of golf, but some of the male players make that all too clear as well. On vacation, I went to play golf with a fellow female professional. When we were warming up to play, the starter informed us that he was going to pair us up with the two men who had the tee time behind us. We happily agreed! Then he said that the gentlemen did not want to be paired with us. Fortunately, two more guys came to play, and they were thrilled to be paired with us. (OK, maybe it was just because they wanted to get the earlier tee time, but the fact that we were women didn't matter.) When we went to the middle tees (from where most male amateurs play) and hit two great drives about 250 yards down the middle, it felt great! Our playing partners were overjoyed! The two men who declined to be paired up with us had this shocked look on their faces and then a bit of embarrassment as my fellow female professional said, "We'll try not to hold you up!" Their reply: "Our bad!" are in that situation, they feel a great deal of pressure to hit an amazing tee shot. They don't want the men rolling their eyes and wishing women weren't on the golf course. As women become members at more of the world’s most elite country clubs, especially The Royal and Ancient Club and Augusta National, there will be fewer stories like the ones I have shared here. I am ecstatic about the decision of the R&A members in Scotland. The entire golf industry will benefit. Cheers to a more positive future for women in golf! My team and I had an awesome time at the LPGA Teaching and Club Professional National Championship Titleist and FootJoy Pro Am! We took advantage of all that Chateau Élan Resort and Winery, in Braselton, GA, had to offer, including; golf, wine, great restaurants, and the spa! We were relaxed and ready to compete to win!! Our first hole was a par 5 where we missed a six foot birdie putt. Yes, all five of us missed it in the scramble format. Feeling like we gave a stroke to the field, we got even more determined and made seven birdies in the next 9 holes! The excitement of every birdie had our team beaming with confidence. Although we had seven more birdie opportunities in the last eight holes, only one dropped! It was disappointing to watch so many putts roll past the hole, or hit the cup just to ride the rim and stay on the putting surface or stop just short. We finished with a score of 64, just one shot out of winning a prize. The lesson to learn here .... practice putting! The two most important parts of putting are distance and direction. I noticed that many times we left the ball short of the hole or we just didn't get the ball rolling on the intended line. It's important in a scramble format to be aggressive when putting to give yourself a chance to make the putt, especially when your team has one ball close to the hole. To get the ball to start on the intended line, practice putting between 2 sticks or clubs laying parallel on each side of your putting line. You will get immediate feedback on the direction of your stroke and putt. My plan is to spend more time practicing throughout the upcoming year to improve my putting. Morgan Pressel is amazing both on the golf course and off. She has competed on 4 US Solheim Cup teams and still holds the record for the youngest player to win a major on the LPGA Tour. I had the awesome experience working with Morgan at the RBS Women’s Golf Outing. Morgan was warm and engaging to all of the participants and shared many personal stories as well as golf insights during the exhibition. Her advice to the audience when asked what is the best thought during a swing was great, “just breath!” Although Morgan has a couple of swing thoughts during her rounds of golf, she understands that thinking too much can interfere with effective timing during a swing. It was truly an honor to work with such an extraordinary young lady!! Thank you Morgan! I’m sitting at my computer in shock with a deep sense of sadness. Fellow LPGA Professional, Pam Brosnihan, passed away this week, she was just 51 years old. I remember when she “beat” breast cancer! She never missed a day of work and went through the chemotherapy treatments like a champ! I played many rounds of golf with Pam! I also had the opportunity to see her in action as a Head Golf Professional at Qual Ridge CC. She was a professional from whom I learned so very much! Pam was one of the nicest people I’ve ever met and so fun to be around! I appreciate all of the times we shared together!! 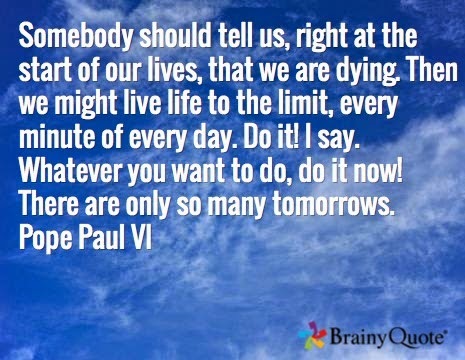 This is another reminder to live every moment of life to the fullest! Live positive, Be positive and Golf-Positive!! Harriette is an Inspiration to Everyone! Harriette is an inspiration to everyone, whatever age, reminding us that a positive attitude and belief in yourself will carry you the distance! I encourage you to bring this attitude to the golf course. There will be missed shots and challenges holes to navigate but think like Harriette when she was struggling at mile 17 but pushed through! She also is a cancer survivor. There will be ups and downs on the golf course but don't let the unfortunate situations get you down. Think of the next shot as an opportunity to recover and successfully finish the hole and round!